In this document we describe how communities located near mines will be networked across the region. Using this network, community activists will keep each other informed on their experiences. This will help communities to learn from each other as well as give each other support. 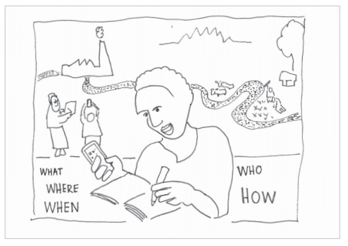 Step 1: Observe and document problems and events in local communities. The activists will document any problem they observe arising from mining as well as any event such as a meeting or protest action that takes place in their community. Why did it happen (what was the cause)? They may add any other comment. 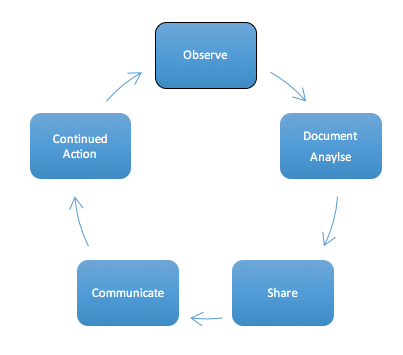 The action of observing, documenting will assist stay aware , reflect and analyse their problems and actions. 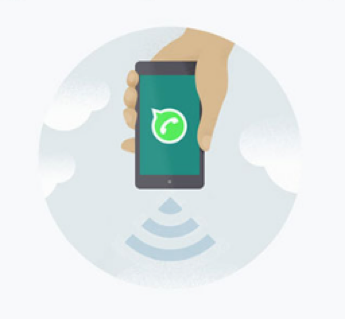 Each country or area will set up a WhatsApp group. The activist will post her report on this group. This sharing of reports will assist the activists learn from each other and as well as give each other support. The post from the WhatsApp chat group will be reposted by an appointed website administrator on to a blog for each country. The website will then enable the local communities to share their stories and reports across the reigon and the world. All the writings and pictures created by the local activists can be easily downloaded from the website blog. 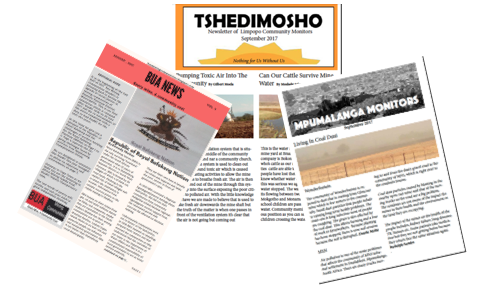 These posts can be put in a newsletter for distribution in the local community among organisations and leaders. When a community observes, documents and speaks out about their problems, they have taken the first action towards change. From this first action, they are in a position to engage in further action with mining corporation and government authorities towards resolving their problems.